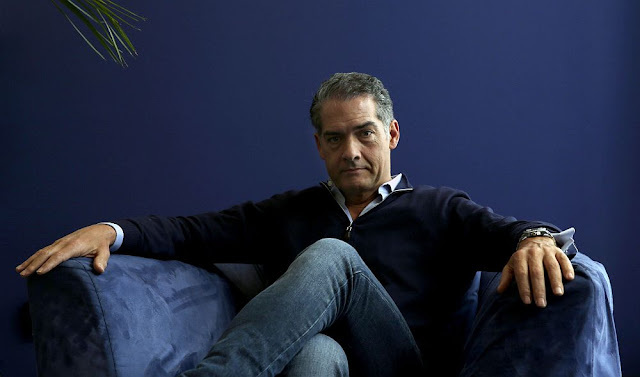 A new release of a Philip Kerr novel is always a welcome addition to an oeuvre of more than thirty books, including his highly-received Bernie Gunther novels. 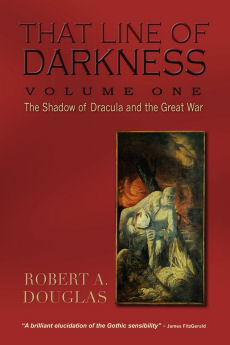 From the 1989 publication of March Violets to Prussian Blue (Marian Wood Books/Bantam, 2017), Kerr has now churned out twelve novels about the acerbic-tongued German detective who has led a checkered life from the trenches of World War One, then as a homicide Berlin cop working for Kripo (the criminal division of the German police), as a private detective, a reluctant member of the SS during World War II, a Soviet POW, to being a fugitive living under aliases in places such as Argentina and France. Throughout, Kerr’s historical research is impeccable enabling him to convey vividly the atmospherics of the times and delineate adroitly the historical actors. Because his focus is on character and hard-boiled Chandlerian dialogue – the cynical wise-cracking Gunther rarely abstains from verbal jousts with often powerful personalities – Kerr astutely avoids providing unnecessary expository information unless it is revealed through the characters and is vital to our understanding of the period. In his previous novel, The Other Side of Silence, the writer and ex-spy W. Somerset Maugham hires Gunther to track down a blackmailer who could destroy his career, a starting point for examining the infamous Cold War spies, among them Anthony Blunt and Guy Burgess. A fictional character is Anne French, who seems determined to write the biography of Maugham and uses and betrays Gunther to gain access to the writer. But she is more than what she appears to be and that is the starting point of Prussian Blue. As in The Other Side of Silence, Gunther is working under an assumed name at a hotel on the French Riviera. It's 1956 and Bernie is ordered by Erich Mielke, an old foe and now the powerful, ruthless deputy head of the East German secret police, the Stasi, to assassinate by thallium poisoning Bernie's former lover, Anne French, an unreliable spy now living in England, or be killed himself. But there are certain lines he will not cross; he finds his conscience is stronger than his desire not to be murdered. Therefore, Bernie kills his Stasi handler and bolts, heading across France to West Germany pursued by an ex-Kripo colleague and his team of Stasi agents who have orders from Mielke to eliminate Gunther. The journey forms a fairly small part of the larger tale of an investigation Gunther undertook in 1939, just prior to the invasion of Poland. Parallel narratives are a Kerr trademark in the Bernie Gunther series, and the author eventually intersects the two timelines with seamless aplomb, even though for long stretches they seem disconnected apart from showing the continuity between the Nazis and the Stasis. Reinhard Heydrich, who was a major character in Kerr’s Prague Fatale, dispatches Gunther to Berchtesgarten, the idyllic mountain home of the Leader – as he is called throughout – and the bailiwick of Martin Bormann who was Hitler’s private secretary. Someone has shot a civil engineer on the terrace of Hitler's house where the Führer is expected to come very soon in order to celebrate his fiftieth birthday. The murder must be solved before Hitler finds out about it. Bormann gives Gunther ten days to solve the murder; anything longer could jeopardize his position with the Leader. But, given that Germany is a totalitarian state, a straightforward police investigation is not possible. Besides, there is too much in the way of internal politics, corruption, and general jockeying for power to allow for anything remotely resembling honest policing. Heydrich does not really care whether Gunther solves the crime; he is engaged in a power struggle with Bormann. What he wants from his detective is evidence of corruption that can be used against his rival. When suspicion falls upon a certain individual, Bormann wants a swift resolution even though Bernie is convinced that the evidence is insufficient to determine guilt. Bernie works tirelessly to identify the killer. Time is not on his side. One of the real pleasures with this novel that is over five hundred pages is how astutely Kerr deploys important and the latest historical research into his novels. For instance, on one occasion a minor official indicates to Gunther that his job is to interpret the Leader’s intentions rather than obey an explicit order. Kerr is referring to an important concept “Working toward the Fuhrer,” first developed by the British historian and distinguished biographer of Hitler, Ian Kershaw, who argued that while Hitler set a barbaric tone and set forth goals, he never provided specific details as to how to implement them. That was the responsibility of the bureaucrats and society in general. For example, he never ordered anyone to denounce their neighbours if they were insufficiently enthusiastic about the regime but individuals could intuit that would be in keeping with “Working toward the Fuhrer.” Kerr of course does not provide any of this exposition but in a couple of sentences through a character, he offers enough to allow a historically informed reader to understand what he is suggesting. He might have provided a historical note at the end of the book as he does in The Other Side of Silence. Another example of much more recent research is his reading of Blitzed: Drugs in Nazi Germany by the German historian Norman Ohler. He argues that large swaths of the German population, the Nazi Party, and the Wehrmacht used and abused an array of stimulants and narcotics. Chief among them was methamphetamine, in the form of a pill called Pervitin. He is particularly interesting in documenting how Hitler was injected with an escalating regimen of vitamins, steroids and hormones, which included extracts from the hearts and livers of animals: fascinating given that he was a vegetarian. 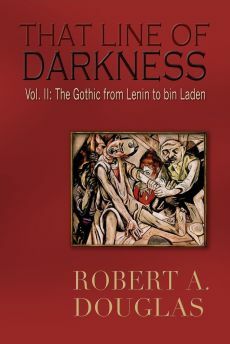 Kerr does not incorporate Hitler’s drug use into his novel, a wise decision given that the Leader does not make an appearance. But he does punctuate the consumption of Pervitin which enables Gunther and his colleagues to work without sleep, and how the supply of these pills for civilian use was drying up as they were increasingly being diverted for military use. Again there is little exposition about this drug except for how it is relates to Gunter’s investigation of the murder. Kerr does provide a plausible explanation for Gunter’s resolution of the 1939 murder case given the constraints under which the detective operates. They include not only identifying the killer who enjoyed protection in high places, but surviving, given that certain parties wanted him dead. 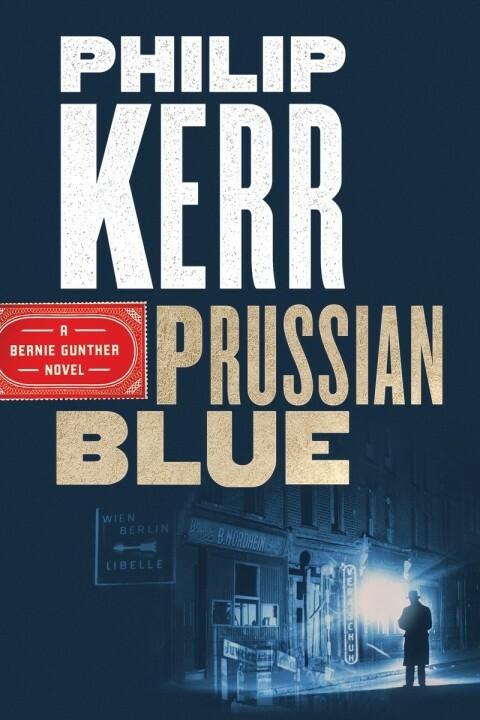 More satisfying is Kerr’s ingenuity in linking the two cases and, without providing detail, the linkage is much more than a detective who worked with Gunther in 1939 who is a Stasi officer in 1956 in hot pursuit of the resourceful protagonist. Kerr reminds again that the crimes that Gunther investigates pale in significance with the crimes committed by totalitarian regimes and their security arms. Part Two (forthcoming in two weeks) will be my review of Women in the Castle by Jessica Shattuck.